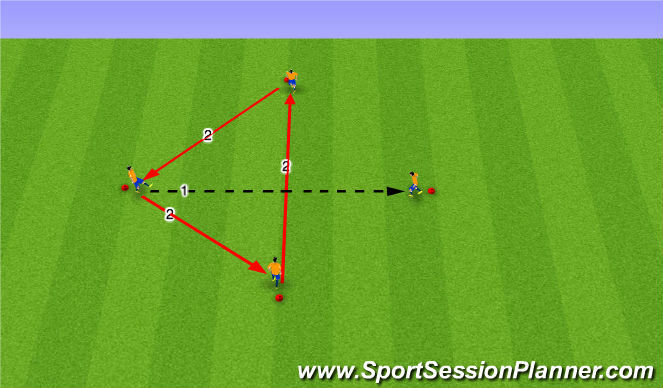 The player who plays the ball decides which space to move to. The other two players move to different positions. The player receiving the ball is the only player who stays. Players work to problem solve.